Andalusian, Spanish Horses are proud but docile. PRE’s are intelligent, very willing, and learn quickly. They make super riding horses and can excel in any sphere including dressage, show jumping and driving, partbreds make excellent eventers. We have a fully registered and graded Andalusian (APTO) Stallion. Full and partbred youngstock often for sale. 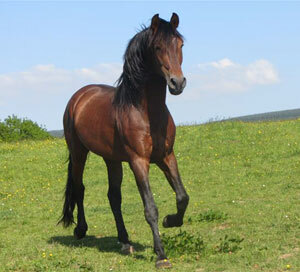 Oyon is ideal for breeding purebreds and crossing with most breeds. Recent photos of Petra. She is standing 15.3hh now. She has a lovely bold temperament and spectacular movement. Really well grown chunky filly. She Read full article. Forest Andalusians is powered by Wordpress. Wordpress theme designed by Chris Laing Web Design.